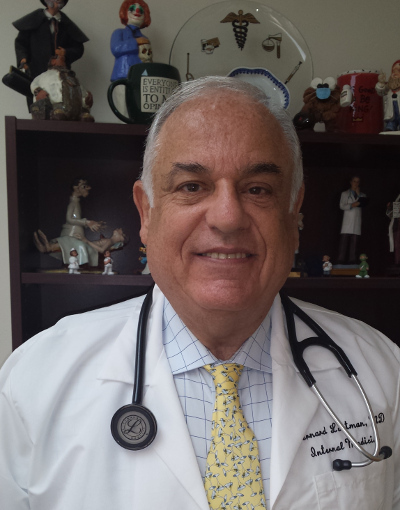 Dr. Bernard Laitman has been in practice for over 30 years. His focus has always been to "put the patient first". He has provided care to generations of families, even having the privilege of having 4 generations to speak with in 1 room. When choosing a primary care physician, New City Medical, PLLC will provide quality care with the ability to diagnose and treat using the latest equipment including EKG's, pulmonary studies, holter monitoring, and echocardiograms, among other studies. We look forward to forming new relationships with all patients looking to be cared for in a professional and yet personal manner.. This offers our patients private access to their medical information. assist you in making your appointments. © 2014, New City Medical, PLLC. All rights reserved.